Rollins committed the ‘heist of the century’ when he interfered during the WWE Championship between then title-holder Brock Lesnar and Reigns in 2015. The Architect cashed in his Money in the Bank briefcase and left the Levi’s Stadium with the WWE Championship around his waist while the crowd watched in shock. According to Give Me Sport, The Kingslayer got the idea by the negative reaction Reigns was getting from the fans. WWE were trying to push The Big Dog as the new face of the company four years ago but that didn’t sit well with the fans as they thought it was too forced and they were still deeply invested with Daniel Bryan. Vince McMahon’s promotion, nevertheless, gave the former Shield star the nod and had him win the Men’s Royal Rumble Match. Reigns became the No1 Contender for the WWE Championship but ever since that victory he has been receiving loud boos from a large section of the WWE Universe. Rollins noticed the negative reaction and shared his idea to cash in his Money in the Bank briefcase at WrestleMania’s main event with WWE Executive Vice President of Talent, Live Events and Creative Triple H.
The two-time world champion got the thumbs up and the rest is history. 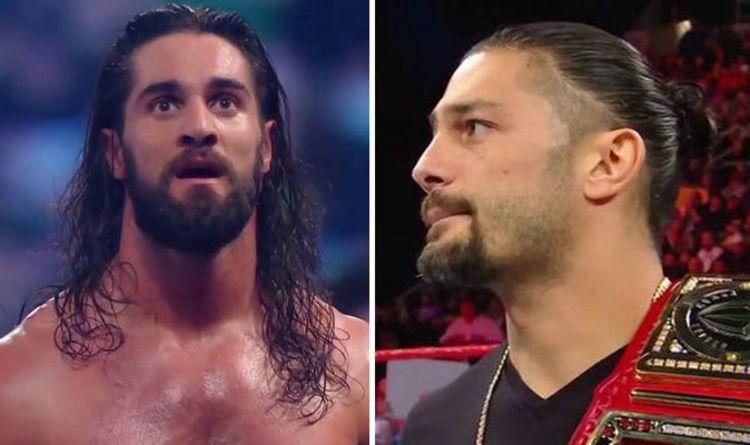 Rollins told E&C’s Pod of Awesomeness: “The crowd were doing what they were doing with Roman and I just saw this – felt this thing, this energy. “I knew they were gonna kinda take a dump on him when he won the Rumble and they did and I remember the next day and again having the conversation with Hunter [Triple H] again because I had pitched the idea near the end of the year before. “I just wanted to remind him that I had his idea on the table and I think it’s a pretty good one. “Even if it’s not the idea it could easily be a contingency plan if the main event of WrestleMania doesn’t go together how you see it. Rollins will get the chance to become Universal Champion at WrestleMania 35 when he faces Brock Lesnar on April 7 at the MetLife Stadium in New York.